The perfect balance between power, weight and ease-of-use! The epitomy of versatility, the FE 350’s engine has delivery and throttle response similar to a FE 250, but with broad tractable 450 rivalling performance. For 2017, the engine weighs 0.7 kg less than the old design and is also 20 mm shorter. 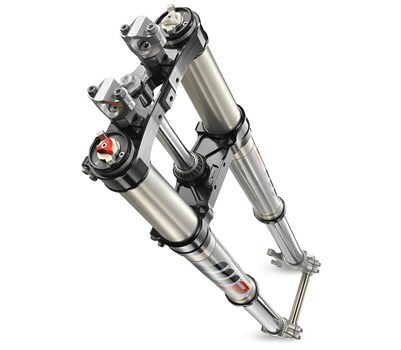 With improved performance, mass centralisation and weight reduction, ride-ability has progressed to new levels. 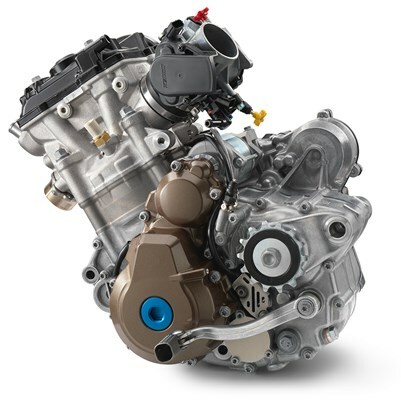 The FE 350 features a new six-speed gearbox with specific wide-range enduro type gearing. 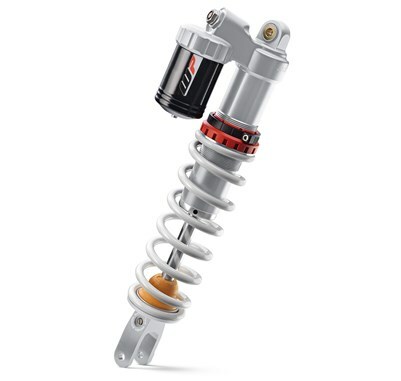 A low-friction shifter fork coating assists with shifting precision, while a new gear sensor allows the engine management system (EMS) to select a specific engine map for each gear. The smart new gear-lever design prevents dirt build-up, springing back into position for perfect control. 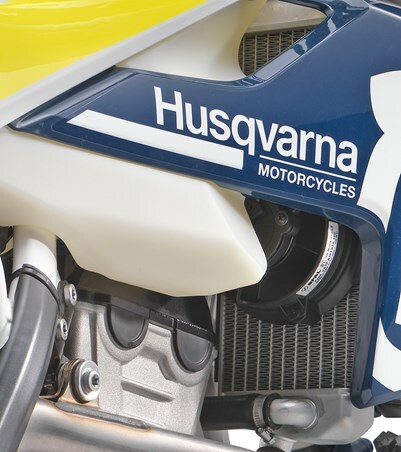 The new DOHC 350cc engine is second to none in terms of versatility. 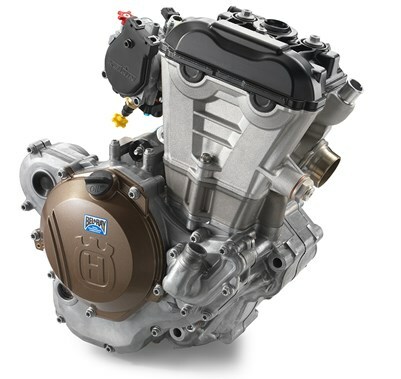 Sharing much of its architecture with the FE 250 engine, the FE 350 is delivers a significant boost of power and torque giving its lightweight character 450-rivalling power. The new design is now 20mm shorter and 0.7 kg lighter than its predecessor weighing in at only 28.5 kg with an electric starter. 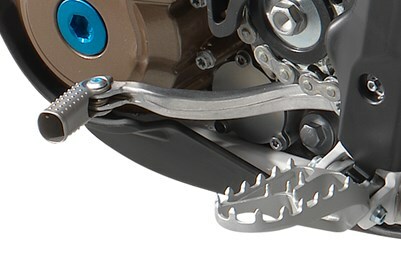 The new crankshaft is not only stiffer but also features a shorter connecting rod. 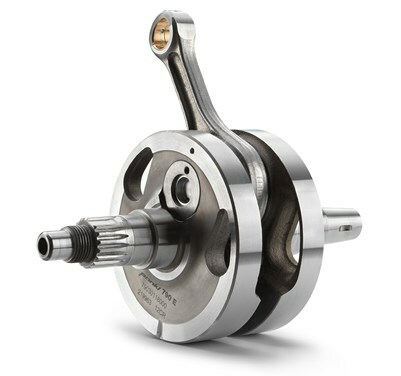 The shorter stroke allows the engine to rev more freely resulting in a quick and responsive power delivery. 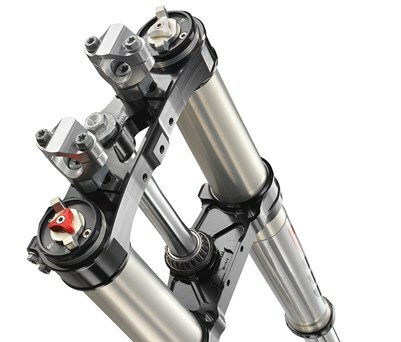 The plain big end bearing features two force-fitted bearing shells ensuring maximum reliability and durability, guaranteeing long service intervals of 135 hours. 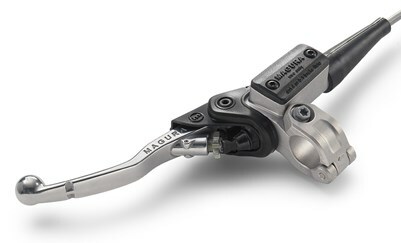 The FE 350 now features a new Magura hydraulic clutch system . The high quality German-made clutch system guarantees perfect modulation of the clutch in every condition. This means that the play is constantly compensated so that the pressure point and the function of the clutch remain identical in cold or hot conditions and over time. 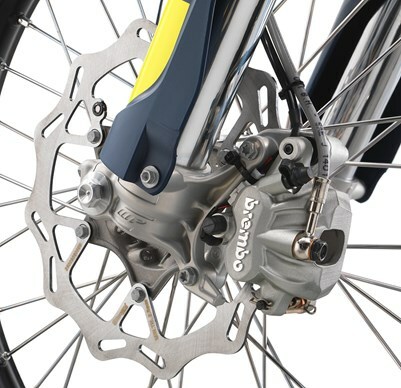 The Magura clutch also features even wear characteristics and is nearly maintenance-free. 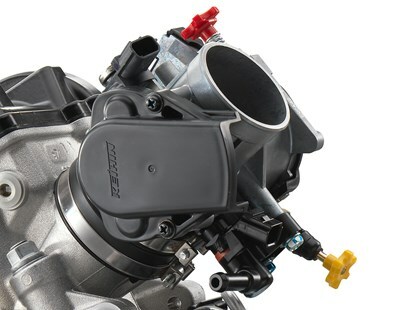 The FE 350 features an all-new 42 mm Keihin throttle body. The injector position is revised and placed to ensure the most efficient flow of fuel into the combustion chamber. 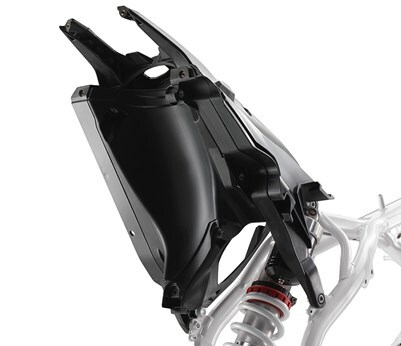 Additionally, the throttle cable is mounted directly without a throttle linkage providing more immediate throttle response and feeling while also saving 100g. 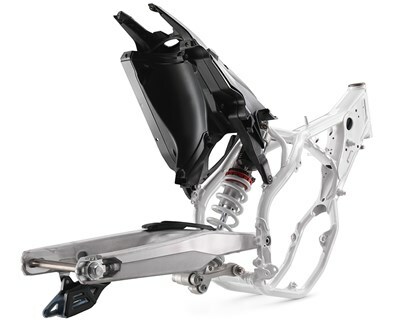 The FE 350 features a new 6-speed gearbox with specific wide-range enduro type gearing. 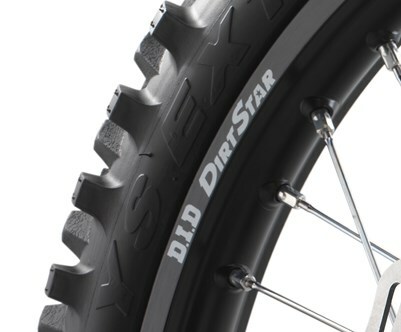 The shifting fork now employs a special low friction coating to ensure smooth and precise shifting. A new gear sensor allows the EMS to deliver the optimal power delivery by selecting a specific engine map tailored for each gear. 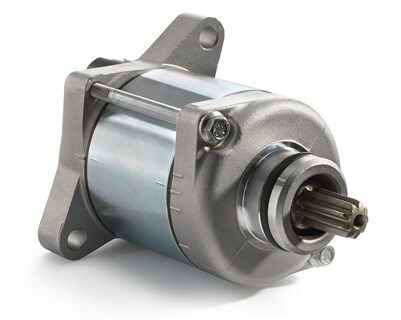 A standard electric starter guarantees easy starting. 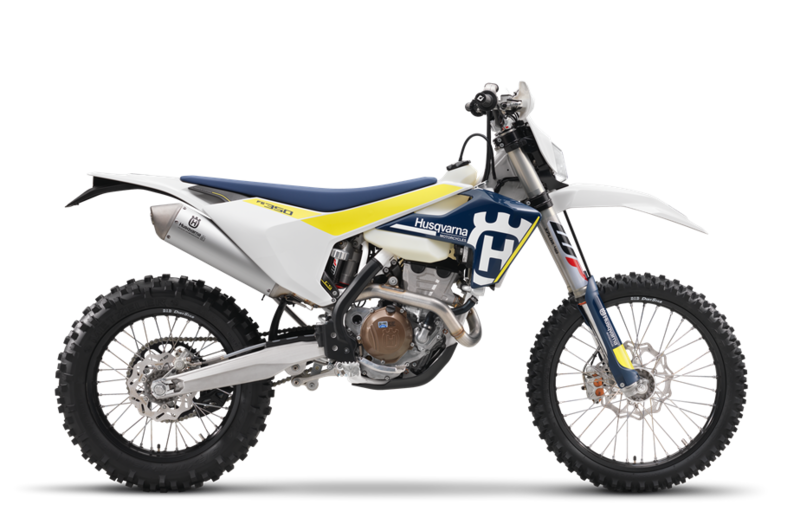 The FE 350 is fitted with a new starter motor made by Mitsuba and is combined with a new Li-Ion battery saving 1 kg over the previous conventional battery.